CooksRecipes has quality, kitchen-tested recipes for chicken appetizers, canapés & hors d'oeuvres that are perfect for parties and entertaining. 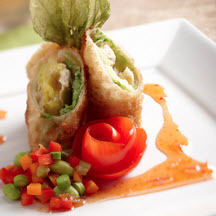 Your guests will love this quick, tasty appetizer with its sophisticated Asian accents. 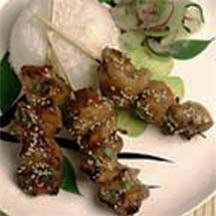 Recipe courtesy of The Soyfoods Council. 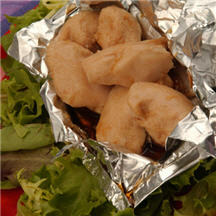 Lean chicken breast pieces are marinated for flavor and then steamed in little packets so they stay tender.